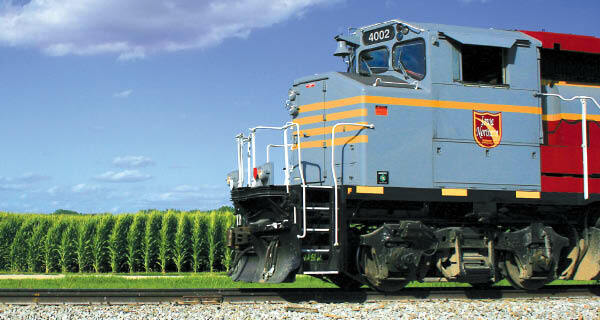 As U.S. growers and railroads embark on a new era of relevance, they are encountering new opportunities working together—and old grievances working apart. Once upon a time, railroading and farming shared privileged company among the likes of Old Glory, baseball, and apple pie. Both were mainstays of life— artifacts of Americana— well before globalization and the “auto-nation” phenomenon radically changed the U.S. transportation and industrial landscape. In the latter half of the 19th century, the U.S. railroad surfaced as a bridge linking rural farming communities with emerging urban centers. Accessible and expedient transportation created new domestic markets for local growers to sell in, especially as people migrated toward cities. Each supported the other and together they fed a growing population. By the turn of the century, the railroad was figurative for U.S. industrialization. If the robber baron culture was impetuous and, at times, overly capitalistic, agriculture provided a balance weight. Farming remained the heart and soul of America, a reminder of its independence, self-subsistence, and work ethic.